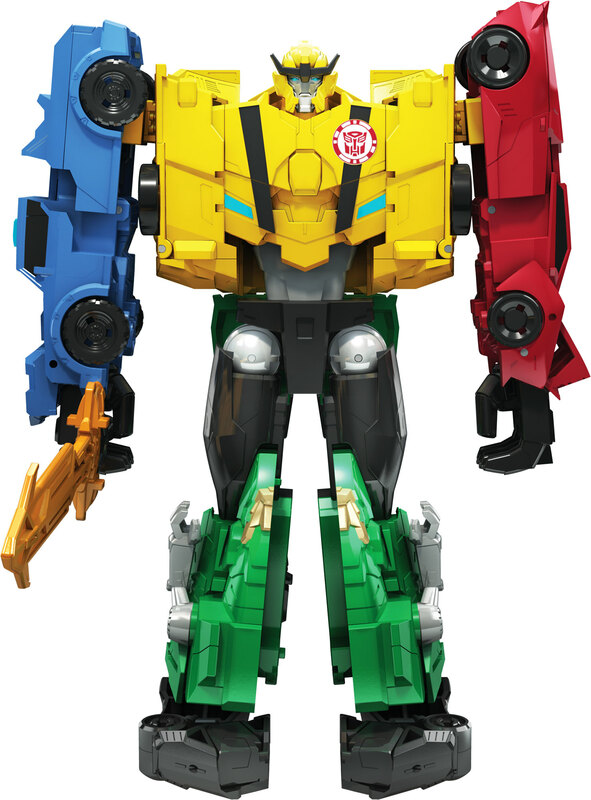 To beat a combiner, you must yourself become a combiner. That’s the mantra behind the third year continuation of Robots in Disguise, now subtitled Combiner Force. 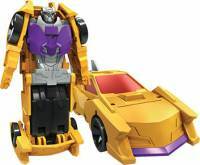 Hasbro has sent out some official images of the Team Combiner sets Ultra Bee, Menasor, and Galvatronus, which we have attached to this post for your viewing pleasure. Check them out and enjoy! I just rewatched the episode where Thermidor gets his big moment and now I really want him. Wouldn't Deluxe Soundwave's mold make a good Heatseeker? 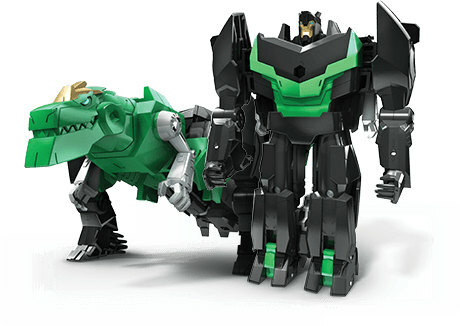 I'm way more excited for this 'bricktastic garbage' than most of the Generations reveals. This stuff looks pretty awesome. 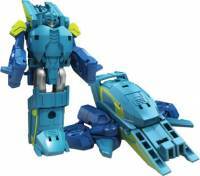 is it just me, or is legion Heatseeker a retool of legion Strongarm? They share a similar transformation, but the mold is completely new, not a single detail matches up. Took them long enough to make Thermidor! Now we just need the other show-only repaint characters added. 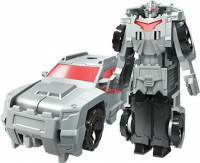 Heatseeker looks nice as well, if he is a Strongarm retool I've got no problems with that as while I don't have her I loved the Ratchet version. 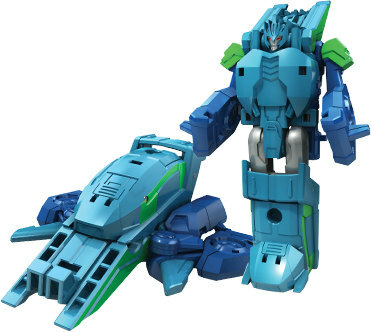 As for the combiners, most of them don't interest me. However Motormaster looks decent for some reason, and I am strangely fascinated by Mario and Luigi Riotgear and Treadshock's design. Ooh, these will be great for my younger relatives, so they don't touch my more expensive stuff, and they'll have something to play with that doesn't look terrible. It'll be a TRU exclusive for two months before a mass retial version comes out. Neither will have an accurate deco. Some more renders and images on this link. Yeah. That's Thermidore, not Twinferno. And legion Windblade. Are we expecting another Warrior for her? 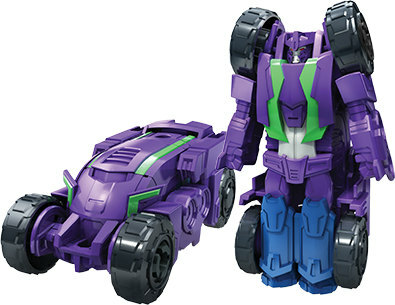 Well, that\'s a relief, at least we will have some proper toys of the Combiners in not-combining form…. because the Team Combiner version frankly, looked terrible. Thermidor is soooo bought, love that mold and the character too. 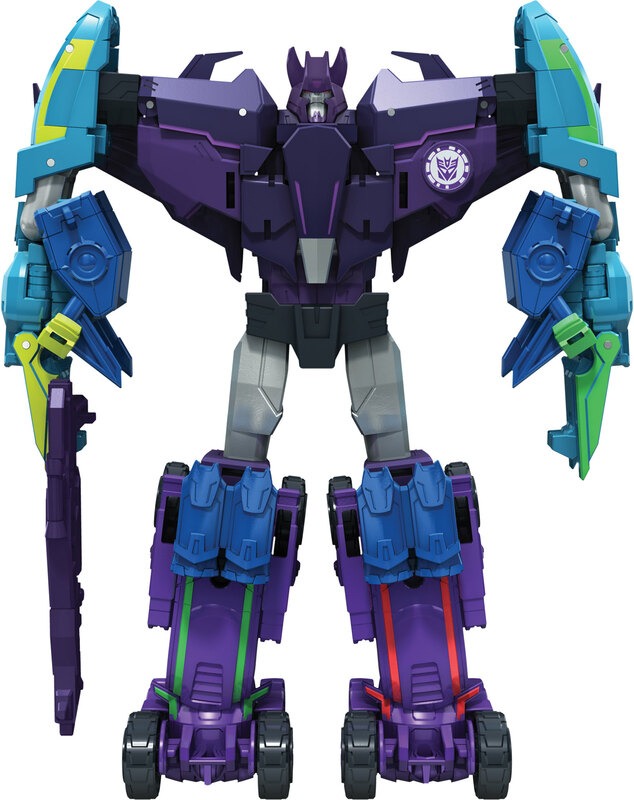 Now come on Hasbro, if you could re-make Windblade (and still mess up her colors), then you can make a Scatterspike with a new head, too. 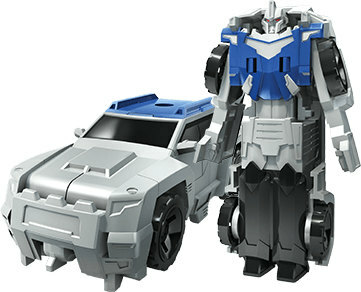 Yeah, And i guess they could retool that Arms Micron Air Vehicon to make Shadelock, And Roughedge out of Prime Smokescreen (Just a new head and a few newer accessories, Considering that Smokescreen is the closest thing to the Museum guard models.) 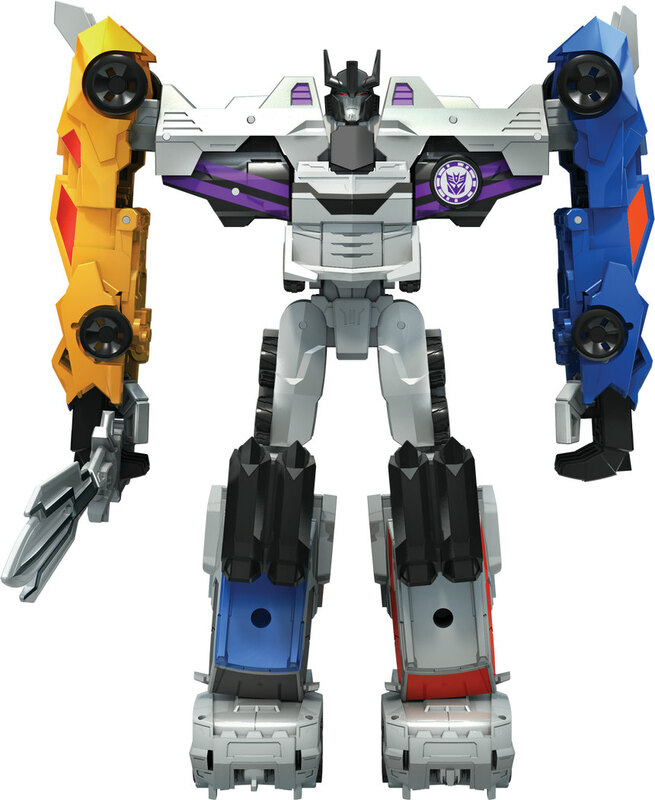 Basically, Complete Starscream's Brigade before we get to the Warrior versions (Hoping for them being CW backwards compatible) of the Stunticons and "The Cyclonus Council" limb bots. Sadly considering the line is reaching it's last legs, the warrior limbs might not happen. I hate Blurr with that dopey RB face. I'm trying to like it, but I can't. 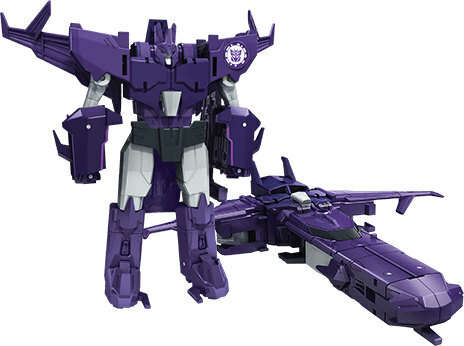 Also, that Cyclonus looks so bad, I'm sorry they even bothered! I totally agree with you on the non articulated toys being garbage. I don't have kids, but I have plenty of friends and co-workers who do. These 5-7 year olds play with smart phones and have no need for dumb toys. Back in the eighties, every character got one standard figure geared towards all ages. Now a days, we get a soap bottle Bumblebee for ages 1-3, a one step changer Bumblebee for ages 3-5, a 3 step changer Bumblebee for ages 5-7, a deluxe Bumblebee for ages 7-12 and a Masterpiece Bumblebee for teens and adults. I think that's a bit too much. I understand its not the eighties, but I think we can do without the Leigons/Legends, one steppers, 3 steppers and dumb gimmick toys that warm the shelves. All they do is eat a huge chunk out of Hasbro's budget that could be used to either give us more on screen characters in toy form or improved quality and paint apps on the existing deluxe/voyager/leader figures from their respective lines. I can understand the soap bottle style rescue bots for ages 1-3, but I think all the mid level stuff is pointless garbage. Kids are smart, stop treating them like they're stupid. I'm not expecting a 5 year old to be able to transform complex ROTF figures, but if a 5 year old cant figure out how to transform a deluxe class Bumblebee, I put that on the parents. Spend more time playing with your kids and help them enhance their hand eye coordination and critical thinking skills. Don't use the excuse that kids are too dumb to enjoy the main lines. Teach them. They learn quick. They're smarter than you think they are. Lazy parents make lazy children. 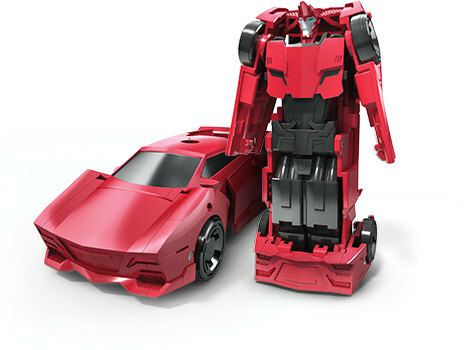 Part of it is it's cheaper to make these 3-step toys (less parts), so Hasbro prefers them. In addition, they usually have some obnoxious spring gimmick that's theoretically harder to knock off. Finally, Hasbro has researched (supposedly) that children like quick changes, not transformations that take 20 minutes and require an online guide. That's not to say I don't 100% agree with you; I just wanted to offer a counterpoint. But the thing that rings most out of what you said is that about the smart devices and how it isn't the 80s anymore. That's exactly right… yet, I get the feeling Hasbro hasn't fully embraced this. However, they are branching off into mobile gaming (quite heavily), and there's rumor/speculation about toys-to-life being in the pipeline. Ergo, all of these idiotic variations/choices of 1 character may be a transition into the future, where Hasbro will dramatically cut back on making so many toys (there's just more money in media/technology, I suspect). When you see all these 3P companies springing forth, and the high prices? Yeah, you should consider the deeper meaning: toy purchasing is quickly becoming a collector thing (at least if it's consistent purchases). I have no doubt the future will have movie toys for whatever Summer blockbuster is out that year… but the idea that kids will continue buying the toys past that Summer? I suspect it's an old paradigm that no longer fits our current situation. Partially, we can blame technology; or we can blame a poor economy (certainly it's no coincidence that the toy industry exploded in the 80s, back when the economy was GOOD!). Also, NERF is doing well, and Hasbro also makes licensed toys like Marvel. 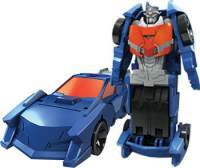 There's always a strong incentive to own the toy brand, but all that means is that Hasbro has to invest heavily in the current model of selling toys: making Summer blockbusters. And incidentally, that's exactly the plan for TFs! 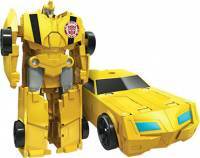 The best hope for collectors is that one day the movie-verse and G1/BW/whatever merge in a meaningful way. But by supporting Paramount and Bay, Hasbro has made it clear they have little interest in preserving G1 or BW in a meaningful way. 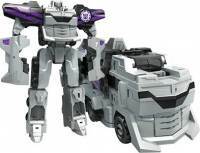 Literally EVERY TF RELEASE will be delayed by the movie-verse stuff this year, the real goal of Hasbro. Gnaw, one of my favorite characters, is an absolute GHOST. I'm going to channel this frustration (and I urge everyone else to do the same): save your money; shop elsewhere. The only way Hasbro will even notice your disappointment is if you refuse to buy movie-verse toys. 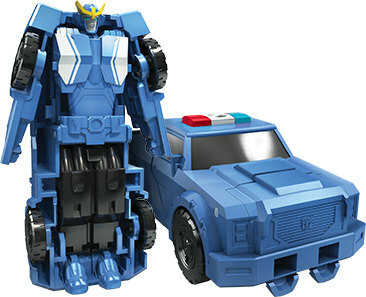 I know the line is geared for kids, but with the articulation advances in Combiner Wars, this feels like 1984 all over again. @Tony_Bacala the thread should be in Robots in Disguise 201x News,not Robots in Disguise from 2001.Thanks. That blue-lobster thing looks interesting. I don't know about the rest of you, but three of those Legion Cyclonus figures would make a decent Cyclonus Armada. I'm the most excited for Thermidor and his new head.